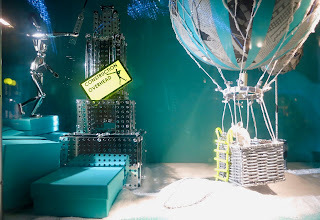 Tiffany never disappoint when it comes to their windows and as usual they have delivered a show stopper. 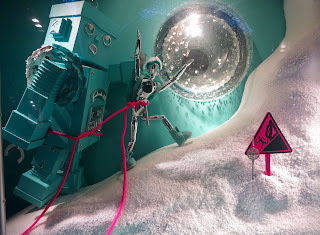 Masters of all things miniature, their Christmas scheme includes pieces of what looks like Meccano (remember that? 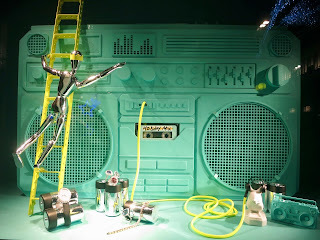 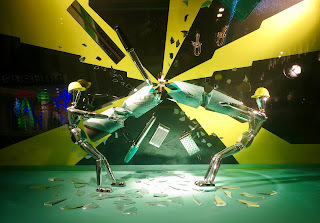 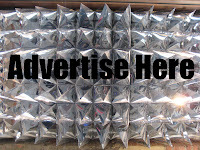 ), Silver figures in hardhats used to create a narrative and a life-sized boombox; we cant wait to see their New York store along 5th Avenue and will share these with you shortly.